I am a two-time graduate of the University of Alabama in Tuscaloosa, Alabama. I obtained a B.A. in History and a Masters (M.A.) in Secondary Education. I currently hold Highly Qualified Status as a teacher in the State of Alabama. 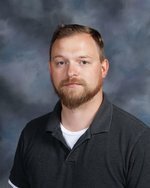 This year (2017-2018) will mark my fourth year teaching at PCHS. It is also my sixth year overall.